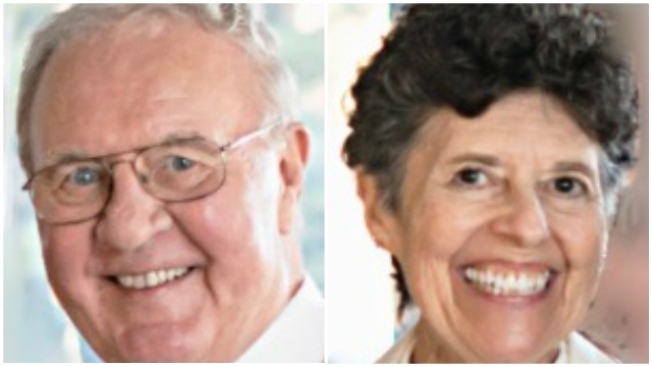 Norman R. Lepine and his wife Shirley Lepine of Bedford, New Hampshire, have been reported missing. They both have dementia and may be in need of medical attention. A New Hampshire elderly couple with dementia that had been reported missing has been found in Upstate New York after they were involved in a minor crash, according to authorities. Bedford police say Bedford residents Norman Lepine, 79, and his wife, Shirley Lepine, 77, had been last seen traveling east on Interstate 90 in Waterloo, New York, at 6:30 p.m. Thursday. Credit card transactions show that the couple traveled as far west as Corfu, New York, a total of 460 miles from home, according to Bedford police. The couple was involved in a minor crash, but were not injured, according to police. They are currently being evaluated at a local hospital and will be met by family later today, who will assist them home. The couple was last seen by their daughter at their home on Kensington Drive in Bedford around 3 p.m. Wednesday. They had plans to drive themselves to a restaurant in Tamworth, New Hampshire, shortly after their daughter's visit. Police said they do not believe the Lepines reached the restaurant and there was no indication they returned to their home after leaving for their dinner plans.